Even the most basic bike computers like the Mio Cyclo 210 and Wahoo ELEMNT Bolt are becoming increasingly complicated. 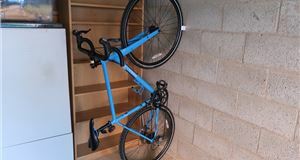 They’re great for navigating, but they’re also packed with so many features that the casual cyclist doesn’t need nor want. Sure, they can tell you everything from where the nearest supermarket is to real-time pedalling data but when all you want is directions to your destination, such features can be a distraction at best and totally overwhelming at worst. 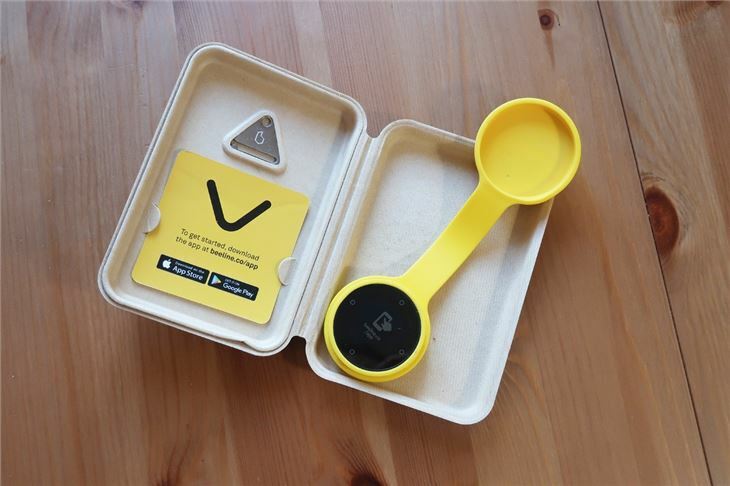 The Beeline is an antidote to that (and you might recognise is from Dragon's Den). 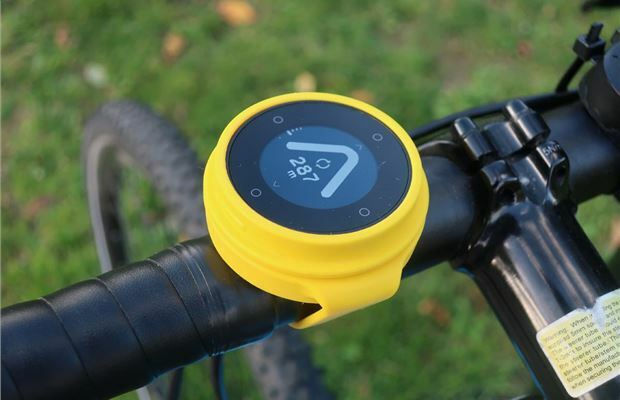 Described as a ‘smart navigation compass’ by its makers, it’s not a full bike computer. 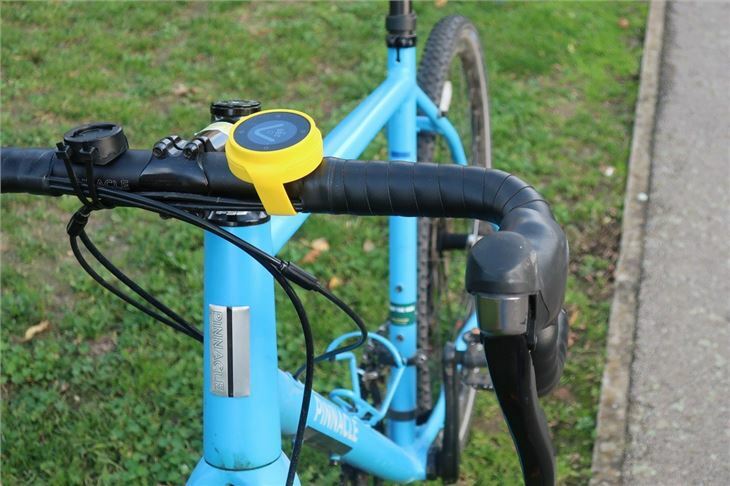 Just fit it to your handlebars, input a destination via the smartphone app and it’ll give you turn-by-turn directions to your destination (or next waypoint) and tell you how far away you are. It's that simple. Fabulously easy to set up. 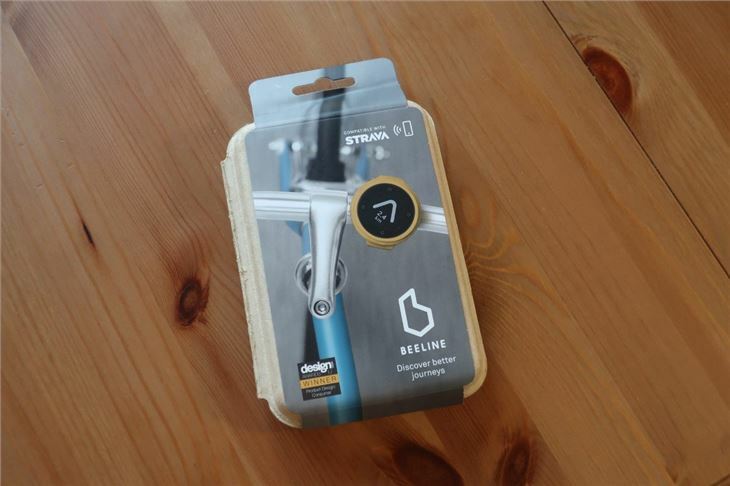 You’ll get a small box containing the Beeline, its silicone mount and a mini USB cable. Download the free Beeline bike navigation app onto your phone and it’ll run you through the set-up process. The time-consuming bit is charging the Beeline up, but once you’ve done this it’s good for a solid 30 hours — which gives it a useful advantage over using your phone for navigation. Attaching it to your bike is a piece of cake. No fancy tools required here — just flip the rubber case around your handlebars (or stem) and it attaches securely. The cool thing about this is you can easily remove it whenever you want, like when leaving the bike in a public place or even using the Beeline on a Boris bike. When you’re ready to go, use the app on your phone to input a destination and off you go. You can chuck in some waypoints if you like, and the app’s always there on your phone should you need to look at an actual map and check your route. 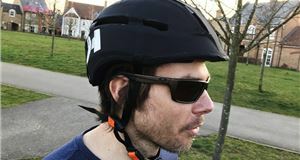 We tried the Beeline in a variety of weathers and it worked well, glare from the sun wasn’t an issue and it didn’t seem phased by heavy rain either (officially it’s water resistant rather than waterproof). The Beeline is well suited to urban riding. It does without the increasingly popular ‘Surprise Me’ feature found on other bike computers; instead, it has a kind of natural surprise me feature. You input a destination and then it’s up to you how you get there. It’ll guide you gently towards your destination but isn’t too prescribed about the route you take; you can have fun trying to find streets that look the most attractive or quiet passageways and shortcuts to knock your total distance down. It’s not the quickest way to get somewhere, but it’s a great way of exploring while heading generally in the right direction. However, the Beeline isn't advanced enough to know about road closures or similar hazards, so if you find yourself at a blocked route, which isn't shown on the app's map, then you won't receive guidance about avoiding or getting around them. And that means getting your phone back out if you aren't familiar with your surroundings. The Beeline also doesn't work quite as well out of town where road coverage isn’t so dense and, if there isn’t a road in the direction you want to go, you could end up going miles off route. 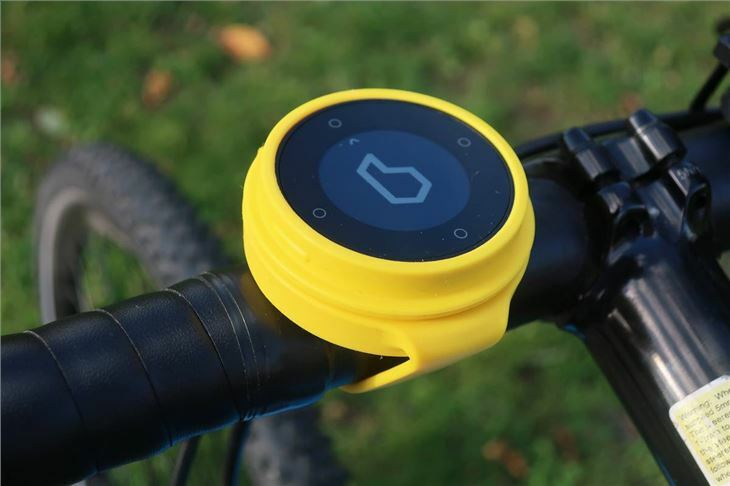 You’ll have to check the route on your phone regularly, and this defeats the point of having a device like the Beeline fitted to your handlebars. If you’re not in the mood for exploring, you can ask the Beeline to assist with a route. This’ll add waypoints itself, helping to split the route into segments and providing more accurate directions rather than simply pointing in the direction of your ultimate destination. This is a useful feature and one most riders will probably use by default. Our only complaint is its reluctance to pick up on some cycle paths and instead defaulting to main roads — a problem that afflicts many more expensive bike computers. 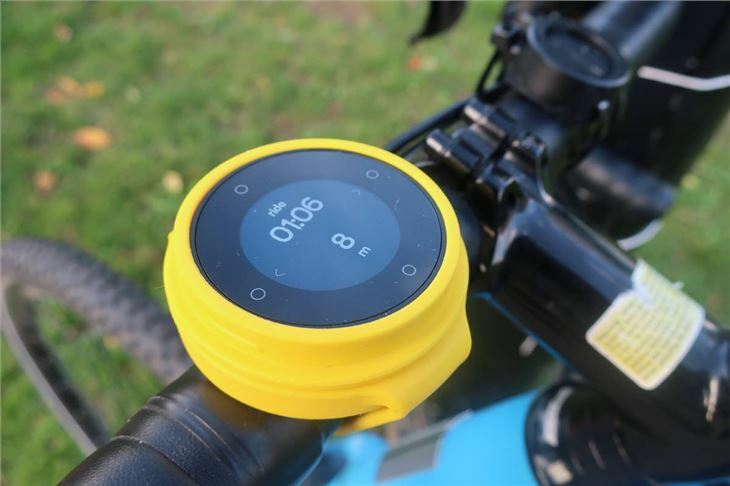 Although the Beeline is mostly controlled via the app, there are four touchscreen buttons on the device itself (located at the four main compass points). These are easy to operate – even when wearing cycling gloves – and allow you to do things like adjust settings and check the remaining battery life (of the Beeline and your phone). When you finish your ride, just hold the top of the screen and the data is saved on your account on the app. It’ll give you some figures like the distance travelled, speed and time taken — and you can also share your route by connecting the app to Strava. Again, it’s all very simple. We're rather taken by the Beeline. It looks much smarter than most bike computers — more discreet, with a touch of Apple design simplicity about it. 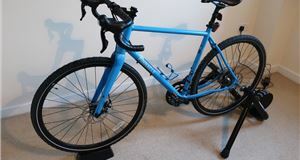 Serious cyclists will want more features and even the casual bike rider might find it frustrating at times though. 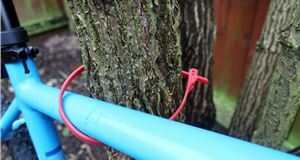 A lot of the time, it’s just not as useful as having a GPS mapping system in front of you. 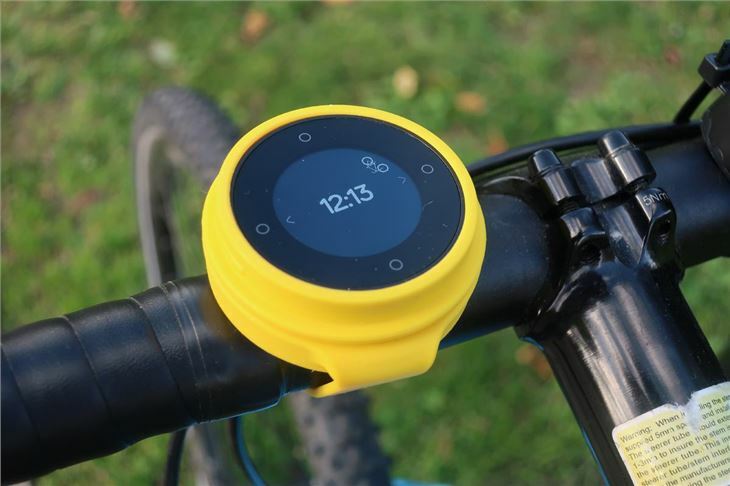 Having said that, the Beeline offers a great battery life and there’s a built-in sense of fun about it. It creates opportunities to explore areas, and it’s especially cool in town.